Raw eggs can bounce without breaking. Read on if you would like to learn how to make a raw egg bounce. This is a simple and fun trick that can be used to teach a child who is learning about science. Or you could do it just for fun. This is because egg shells contain calcium carbonate. 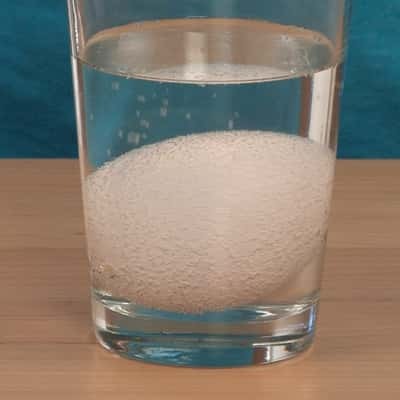 The calcium carbonate is being disolved by the vinegar. If you touch the egg in the vinegar you will notice that it does not feel like a normal egg anymore. Click check it out for more cool science tricks.